In order to become a competent jazz guitarist, you will need to listen to a lot of excellent jazz music. It is simply essential to get the sound of jazz in your ear! Listening to a lot of jazz music will help you internalise the sound of swing! In addition to listening, you should also attend regular performances of live jazz. By attending live jazz performances, you will become more and more acquainted with the vocabulary of jazz music. You will also witness first hand how jazz musicians take turns to solo and support each other! Understanding the language of jazz, as well as the subtle and intricate swing rhythms will help you on your journey to become a competent jazz guitarist. Becoming a master of jazz cycles is an absolute must, if you want to become exceptional at playing jazz guitar. A classic jazz harmonic cycle that occurs over and over in jazz is the: “I IV VIII III VI II V I cycle”. I require all my jazz guitar students to memorise this particular cycle throughout the cycle of 5ths. But the result is an excellent understanding of harmony, and a good working foundation of chords and arpeggios. As the guitar is a transposing instrument and we often rely on patterns, it is also important to get to know each and every key. Simply moving a chord up and down with no understanding of the context of the key is just not good enough. You need to develop a feel for the key that you are in. For example, if we play in the key of Ab major, you should (immediately) know that the relative minor is F Minor. I would recommend for budding jazz guitarists to also learn chords on the piano in order to get a deeper grasp of jazz harmony. Remember, we can only play six notes at the same time on the guitar. On the piano we can play an endless amount (if we use the sustain pedal!). So spend a good amount of time practising cycles and harmony. Get to know the “II V I” and “II V I VI” chord progressions inside out. You will find that harmony in jazz generally moves in fourths. The “II” chord moves up a fourth to the “V” chord. The “V” chord then moves up a fourth to the “I” or tonic chord. Become familiar with how jazz cycles work. Study, study and study more, and you will eventually understand the inner workings of jazz! Harmonically speaking jazz is complex. In Western music, we harmonise chords in thirds. Western classical music generally consists of triads and seventh chords. In jazz, we take this one step further. Harmonisation will often extend to ninth, eleventh and thirteenth chords. You therefore, need a solid understanding of harmony in order to excel at playing jazz guitar. It is also important to understand arranging as well as the range of your instrument. If you play in a jazz band, you have to take great care not to step on the toes of the pianist. You have to play complementary chords on the guitar that will make the entire band sound great! To do this properly, you will need a great working understanding of harmony as well as arranging. A good exercise on the guitar is to play through the four main seventh chords. Play through the Major 7th, Minor 7th, Dominant 7th and Minor 7b5 chords. You should know several voicings for each chord. This is why great jazz guitar tuition is worth its salt. With a great teacher, you can get to know these voicings inside out and understand how they work on the instrument. This is, however, only the tip of the iceberg. You will need to study harmony in relation to key and context. Once you understand the beauty and language of harmony, you will then be able to improvise on a much more proficient level as well as provide accompaniment along with the rest of the band. By having a greater understanding of jazz harmony, you will also be able to create beautiful chord melodies on the guitar and harmonise jazz standards (an important tool in your toolkit as a jazz guitarist). Developing a repertoire of lines and licks is absolutely essential if you want to succeed at playing jazz guitar. Knowing a good amount of quality major and minor “II V I” licks will definitely help you in the heat of the battle when improvising! A lot of new jazz guitar players are scared of memorising licks. They fear that it will make them ‘method’ players. There is certainly a (small) danger of becoming a method player if you approach learning licks in a ‘squared’ manner. You will then definitely not become a ‘method’ player! The licks will merely be a part of your improvisation toolkit and will be helpful both in developing your ears and helping you play throughout various chord changes. Therefore I recommend learning a selection of high quality major and minor “II V I” licks all five positions of the guitar neck. My all-time favourite book for learning jazz lines is Pat Martino’s “Linear Expressions”. You can buy Pat Martino’s book on Amazon here. Step 5: It don’t mean a thing if it ain’t got that swing! “It don’t mean a thing (if it ain’t got that swing)!” – the immortal words by Irving Mills. The fact of the matter is that you simply cannot neglect the swing feel. Jazz music is all about swing. You absolutely need to develop a wonderful jazz swing to speak the language of jazz. I recommend listening to great jazz players to get this wonderful feel. Emily Remler was a fantastic jazz guitarist (she was renowned for her swing feel!). You will notice that she’s got an outstanding swing feel. You need to develop that “feel” and work on your swing. Jazz guitar is all about making your guitar sing and swing! Listening to great jazz is the first step. The second step would be practising slowly, and working meticulously on playing in a very relaxed fashion with that cool sound that swings! Having a structured practice routine is really the key to getting great at playing jazz. We all have limited time, and how we use our time is the key to achieving our goals. When you practice, you should have a goal. Ideally, you will have a short plan for each and every practice session. By focusing to get the absolute best out of the time that is available, you will become a success. You should ideally include multiple areas of discipline in your structured routine. We should practice technique, lines and licks, chords, rhythm, and also include time for jazz repertoire as well as jamming! It is also wise to mix your practice up between a strict regiment type session and a more free session. Also include time to listen to great jazz players. By listening to great jazz players, you will develop your ear and become a better jazz musician yourself! Having a plan will set you apart and help you achieve your goals! Jazz is all about form and structure. Playing through a jazz standard and not losing your place in the score is paramount to your jazz guitar playing success! Great jazz players have a cognitive encyclopaedia of jazz forms and structures. Learning famous jazz structures such as the blues, and classic jazz standards are an absolute must. Learning how to play jazz standards will take lots of time. Analyse the form of the standard in question. Memorise the standard throughout multiple keys. I would also recommend getting to know the lyrics in order to understand the meaning of the song more intimately. So to give yourself the edge, do not neglect this all-important area of form and structure. Spend time getting to know the most important jazz standards inside out! Step 8: You first have to master the rules to break the rules! To become great at playing jazz, you first need to master the rules of jazz. That means you have to take the time to learn chords across the entire neck of the guitar, all the major modes, all the harmonic minor modes and all the melodic minor modes. You should also have a firm grasp of a large variety of pentatonic scales. In addition to all this, you need a really good repertoire of lines and licks, and a solid understanding of how to use them over a variety of jazz standards. You also need to know how to swing and play through structure and form! As you can see, there is a lot of ground work to do! Once you have completed the important foundations of playing jazz, then you can look forward to freedom. Then you can look forward to breaking the rules! Then you can look forward to playing just ‘using your ears’. You cannot be a master of the instrument without first being an excellent student. You need to be willing to do whatever it takes to learn the tools of the trade in order to obtain freedom! Once you are free and your knowledge of the instrument and jazz is intuitive, then you can let go and just improvise. Then you can break the rules and make your jazz guitar dreams come true! Step 9: Success comes to those who do not give up! Becoming successful has a lot more to do with resilience than pure talent. Those who (eventually) achieve greatness, are those who do not give up. If you really want learn how to play jazz guitar to a high standard, then you need to follow the recommendations in this article and put it into practice (over an extended period of time). Most people are able to follow a solid practice schedule for a year or two. Practising for a long period of time such as 3 to 7 years is however, outside of most people’s domain (because human nature usually gives up!). Breakthroughs come to those who persevere for the long term! In order to understand the art of playing jazz, you need to give things lots of time and be prepared to have plenty of failures along the way. The greatest jazz musicians were once failures. In fact, Charlie Parker had a symbol thrown at him during his teens by Jo Jones for messing up on stage. He responded with confidence and vigour and said “I’ll be back!” as he left the club. Charlie Parker then practiced and practiced and practiced some more. He practised and persevered until he mastered the art of jazz improvisation! The pattern is quite evident for everyone to see. First you fail at playing jazz, by trying to play without being truly ready (this is actually an important step!). Then you return back to your practice room and practice a heck of a lot. Eventually, you succeed and become successful! That ladies and gentlemen, is the path to becoming a successful jazz guitarist! Step 10: Believe you can and you will succeed! If you really want to succeed at playing jazz guitar, you need to believe in yourself. By believing that you can achieve your musical dreams, you call the things that are not as if they were. In other words, you make your future success a reality today. The future is generally unknown, but you can influence the future. If you believe that you can learn and master jazz guitar, then you will make much more effort during your private practice time! Remember that faith and action goes hand-in-hand. If you believe in your jazz guitar future, then you will practice your II V I licks. If you believe in your jazz guitar success, then you will memorise a large library of chords that you can call upon at will when needed! If you truly believe, then you will devour Pat Martino’s Linear Expressions and get to know the lines inside out! Basically, you will do whatever it takes to make it happen! If you struggle to believe in yourself, and you feel that you cannot succeed get someone to believe in you! A great guitar coach can help you achieve your goals! Believing in yourself and your abilities is not a natural process for everyone. You may think that you are not talented. I guarantee you that you are! All you need is excellent jazz guitar education and a willingness to put in the time and effort required to become a success. So, if you need help in the “psychology-of-playing-department”, get in touch and we will do our best to help you succeed! Remember you are a success busy happening! Go and make your boldest dreams a reality! We’ve all been there, and some of us are there today. I’m talking about a frustrating time in your performance and playing that seems to last forever. The problem with progress is that it is rarely a one-way street. Progress is often failing forward. Sometimes you will feel as if your guitar playing is developing tremendously, while at other times, you might feel that you are actually going backwards.This phenomenon is perfectly normal. If you look at anything to do with the human race, progress is rarely a one-way street. We can also see this in the stock market. Warren Buffett, the world-famous investor, successfully predicts the future of companies on the stock markets. He also understands that the short-term fluctuations of the market (where there is going up or whether it’s going down) doesn’t actually matter that much. He is much more concerned about the long-term(His concern, is that his part of the business goes up in value over a five, 10 or 20+ year period). Development in your guitar playing is very much like the stock market. In fact if we had the right software program we could put your progress on a graph and you would notice times when it goes up and times when it goes down. And you know what, it doesn’t matter that much! What matters is that the overall graph is it going up – and is going up fast enough (This is where a great teacher/coach can help you progress tremendously). 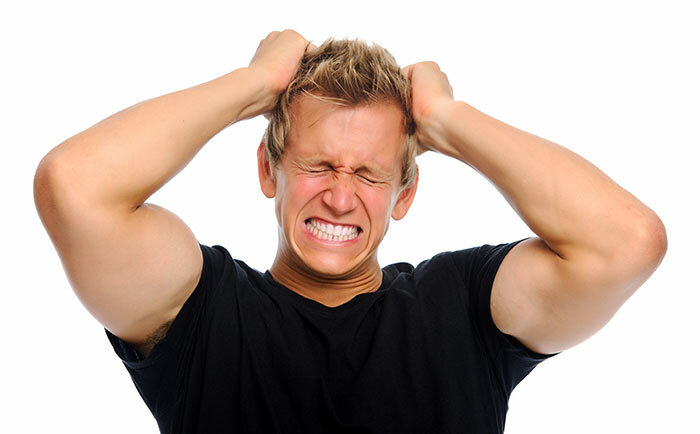 So without further ado, here are the 5 steps you can take when frustration sets in. Step one: Remind yourself that you are not to blame! The fact is frustration and peaks happen to all of us, heck it even happens to the stock markets. And the stock market is nothing more than the combination of votes of individual people voting up, or voting down. The reason for this analogy, is to give you some confidence about your guitar playing and realise that things go up and they go down. 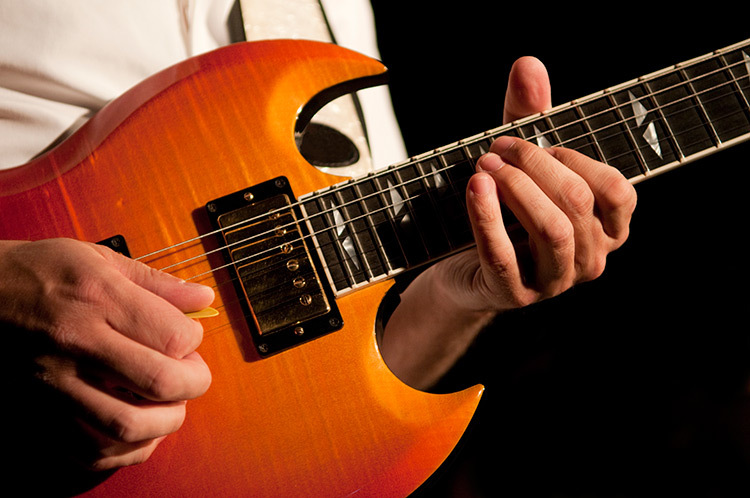 Your main concern, like Warren Buffett, should be the long-term value of your guitar playing. So yes, you are not to blame, make sure you repeat that yourself! I’m not saying that you should not take any action, as action inevitably leads to results. What I am saying is that you should give yourself a little bit of space. You need space to breathe & you need space to think. Nothing in this world will go up in one direction. If you happen to meet anyone who seems to be going up in one direction without a lot of effort, you can be very sure that the same person will go down FAST in the same manner! What might frustrate you today, will not frustrate you tomorrow. Yes, being frustrated is part of life. (And if you know a little bit about me, you will know that I’ve had my share of frustrations, and I’m still frustrated a lot of times! – BUT I DON’T LET THAT GET ME DOWN!) I’m not advocating frustration, in fact, I hate frustration – I prefer success and the feeling of being a success. Unfortunately, feeling truly successful doesn’t last particularly long, as there are always new challenges and mountains to climb. So understand what’s frustrating you today will soon disappear especially if you utilise the appropriate methods to make them disappear which bring me to my next point. Step three: Make sure you get proper training with a knowledgeable mentor/coach – who can show you how to get there step-by-step! There is one remedy that is undeniably successful when it comes to conquering frustration, getting some training with an excellent mentor/coach. By learning how to play guitar with a master, you will go forward in your playing many light speeds faster than doing it alone. Trust me, I have seen that with my own students. One of my own students recently took a break from lessons for four years, and during those four years he developed much less than in the last couple of months with me. Why is this? Well it’s quite straightforward. Without a school of thought, or a movement to inspire you, without someone helping you to take responsibility for your guitar playing, it is actually exceedingly difficult to progress successfully by yourself. Is it impossible to progress by yourself – no it’s not. But there are remarkably few people will have the self-discipline and ability to truly practice successfully by themselves. I would suggest that 99.99% of all guitarists should get some training and take their guitar playing from being sloppy to becoming great. Don’t believe me? – I will give you a test. Try studying with a master for a period of six months. Yes, it is a six month financial commitment. Yes, it’s a six-month physical commitment. Yes, it is six months of your time where you have to be more committed. I can promise you that if you have any passion for your guitar playing that you will never go back without a coach/mentor. You are probably frustrated because you have no clear goals or plans written down where you can refer back to it, to help you go from point A to point B. Think about the following analogy: A certain builder has decided to build a hotel without consulting architects or taking into consideration that the facility will need plumbing and water supply. Halfway in, he consults professionals and finally realise that he will have to rebuild the entire hotel. That might sound funny and improbable, but a lot of people approach learning the guitar in this manner. It’s hardly the way to go about things. Setting goals are one of the most important aspect of learning how to play the guitar. Goal setting can be real straightforward such as “I want to learn how to play Stairway to Heaven” successfully before the end of 2012. That in itself is a commendable Goal. It is advisable, in fact, it’s absolutely recommended to write down your goals and have a little book with your goals for the year. Goal setting will take you from being a downright unorganised guitar player without a plan, to becoming a far better, far superior guitar player. Trust me on this I honestly recommend you set goals – in time it will remove frustration from your life. Most people, myself included are highly optimistic. I often set goals that are too high to reach. (I never set unrealistic goals, just challenging goals) Why do I do that? Because I love challenging myself. I do not recommend setting low goals, and I do not recommend setting mediocre goals. But what I do recommend is that every now and again you review your goals. You might find that you are frustrated due to the fact that you’ve set your goal too high – an unachievable challenge. Remember that most people engineer their own disappointments by having unrealistic expectations of what they’re capable of doing. If you want to play like a great guitarist– let’s say Shawn Lane. And you decide that you want to become as fluent on the guitar as Shawn Lane. It would probably be unrealistic to achieve this within two years if you are at a semi-professional level. In fact, Shawn Lane is probably the world’s most fluent technical genius on guitar ever ! Am I saying it can’t be achieved? Oh no – I believe that all things are possible, and I believe that someone can learn to play better than Shawn Lane, if they have the faith to do so. I don’t think there is a limit to our playing ability. What I would say though is that one should be realistic about goals. And when I say realistic, I’m not saying that one should not have high ambitions. No, you must have high ambitions, but you do need to have a map or plan to reach those goals, and usually those goals will be reached by achieving smaller sets of goals first.